The weighted gas line is designed to maintain an even fuel flow at all times, making the Little Wonder versatile for operating in almost any position. The case hardened steel gears were designed to extend the life of the trimmer, and to strengthen the performance and durability of the machine. With a superior blade design, and hardened high carbon steel blades that can tackle up to a one-inch thick diameter, and at 3500 cuts per minute, this gas powered trimmer is well equipped to cut through any job. Boasting a 13-ounce fuel capacity gas tank saves time by eliminating the delays of frequently stopping to fill up. This piece of equipment is designed with a commercial grade quality that will extend the life and durability of the machine. Featuring an electronic ignition, the trimmer will start easy each time so there will be no delay in getting the job done. The throttle trigger, stop switch, and lock-out trigger are located on the rear handle for user convenience and safety. 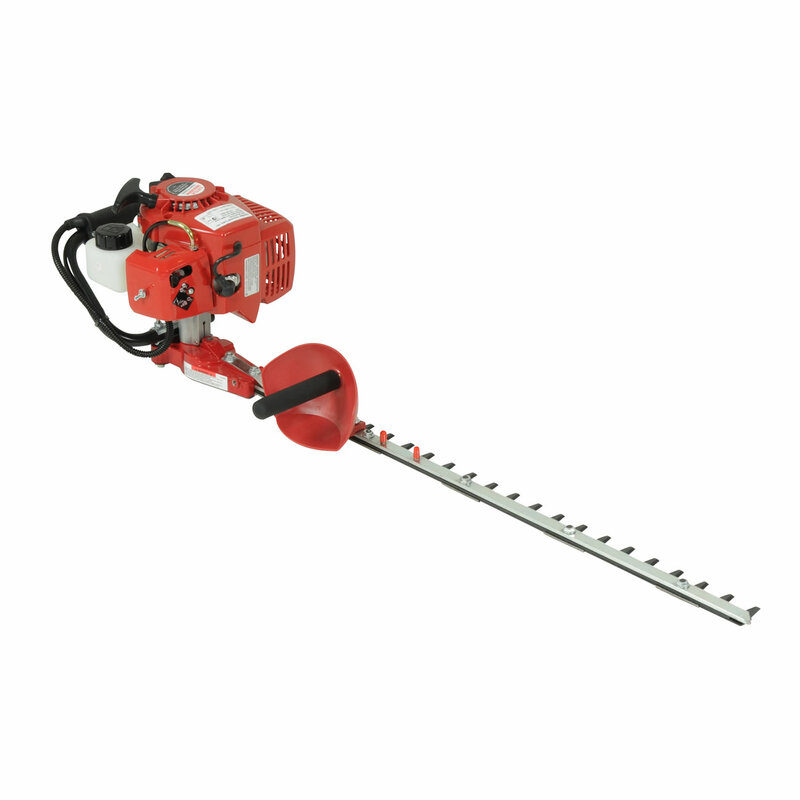 The Little Wonder gas hedge trimmer doesn’t stop with just the versatile features, but also offers some added safety features as well. The convenient stop switch was placed on the rear handle next to the throttle trigger, making it possible to cut off the engine quickly in the case of an emergency. A front side handle was properly placed to assure even cutting and steady use of the machine. The blades were brilliantly designed so they will not engage while the engine is in the idle position. Shank’s Lawn Equipment is ready to assist you with all of your lawn & garden needs. With a wide range of in-stock parts, a handy parts lookup tool on their website, and their friendly staff, they will assure you the best customer service possible. No matter where you are in the U.S or Canada, Shank’s can ship the parts you need to keep your lawn equipment running smoothly. This entry was posted in Uncategorized and tagged Little Wonder, little wonder gas hedge trimmer, Shanks Lawn Equipment, trimming. Bookmark the permalink.